I took my 2009 Mitsubishi Outlander to Erin Mills Master Mechanic to get the transfer case and rear diff fluids changed out. Replacing the OEM fluid with AMSOIL Severe Gear® Synthetic Extreme Pressure (EP) Gear Lube 75W-90 (SVG). I wasn’t confident about my plan to use wheel ramps on the down slope of my driveway to get an almost level vehicle. What I really needed was a lift so I reached out for some help to the local mechanic shops in my area. Master Mechanic Erin Mills was happy to install my own fluids for reasonable labour rates. 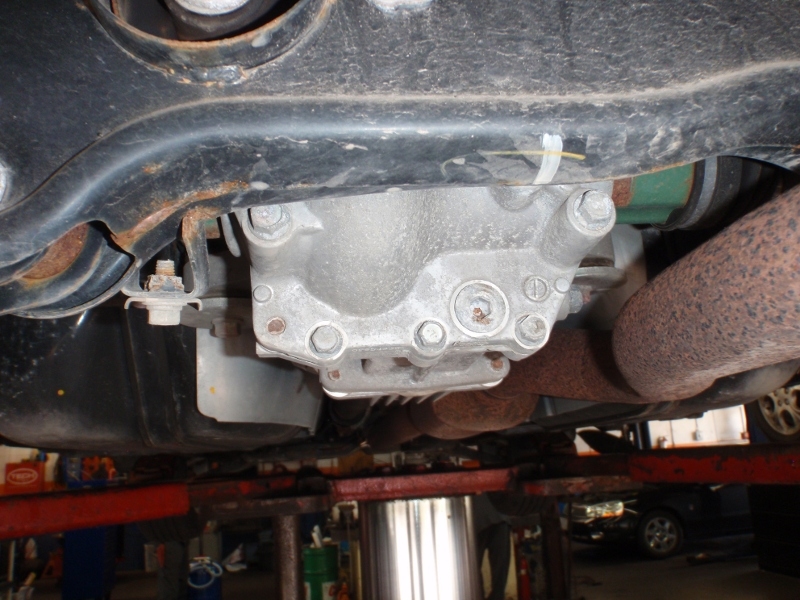 An average oil and filter change would run abut $20 – call ahead to make sure the bays aren’t filled. Back to the rear diff. 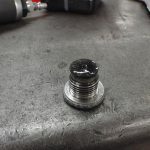 The drain plug has a 10mm hex head which is near the bottom, not sure of the size of the fill plug above it to the right. 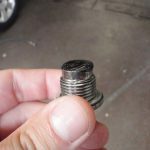 It is a really simple drain and fill – make sure you get the fill bolt cracked before you try the drain. 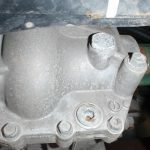 Once you get the drain out, open the fill completely and make sure your catch basin is in a good spot for full flow – it’s only ~0.5L so there isn’t as much head pressure as the crankcase oil. 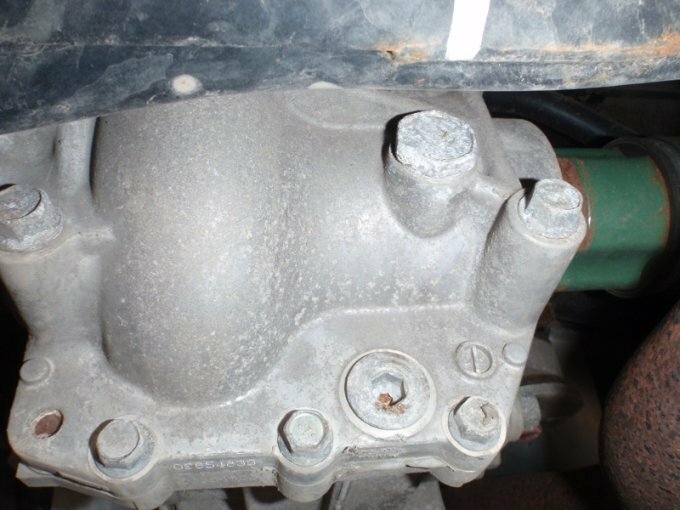 You require a level vehicle to fill the diff/transfer case. Pump in the new fluid until it overflows then insert the fill plug and you’re done. 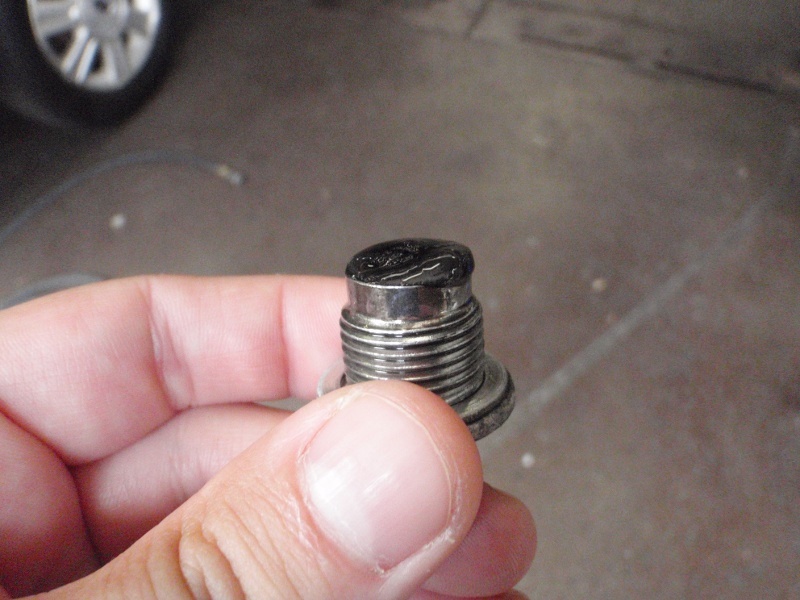 The magnetic drain plug I’m holding is from the rear diff – not bad just a bit of metal filings – it looks as I expected it to after 54,000km. 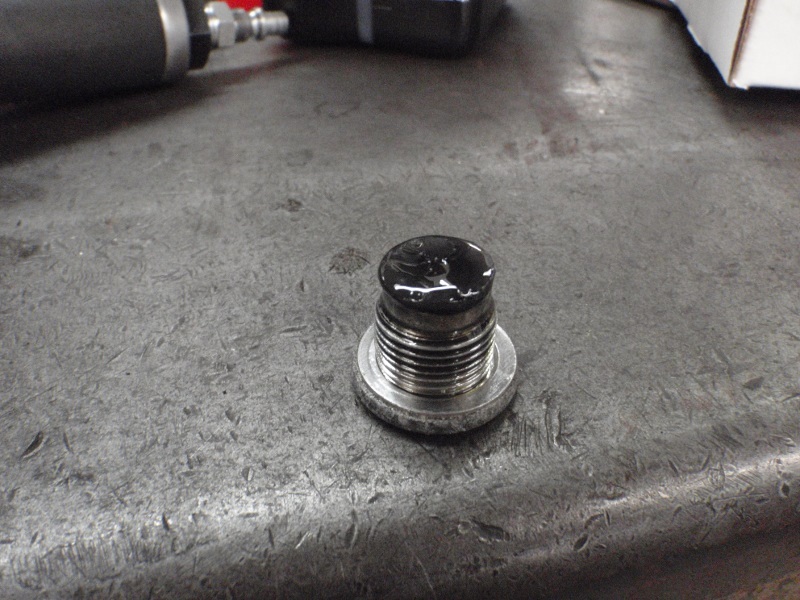 The drain plug on the bench is from the transfer case. Be sure to use a pump or syringe of some kind to get the new fluid into the transfer case and diff. The components are tucked up in tight into the body you’ll have a really hard time getting the spout of a gear oil bottle into them. 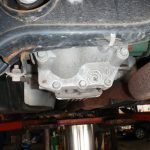 Photos of the transfer case are located in this post.